Chungliang Al Huang è presidente/fondatore della Living Tao Foundation in Usa, direttore del Lan Ting Institute nelle montagne sacre della Cina e sulla Oregon Cost in America. Danzatore, filosofo, calligrafo, maestro di Tai Ji di fama mondiale è autore di numerosi libri fra cui i best seller Embrace Tiger, Return to Mountain; Essential Tai Ji; Quantum Soup; The Chinese Book of Animal Powers; con Jerry Lynch è autore di Thinking Body, Dancing Mind; Tao Mentoring; Working Out, Working Within; The Way of the Champion; Spirit of the Dancing Warrior e coautore con Alan Watts de Il Tao: La Via dell’Acqua che scorre. Giuseppe Urselli ha studiato Tai Ji per 20 anni con Chungliang Al Huang a Londra, a Vevey ed a Zurigo. 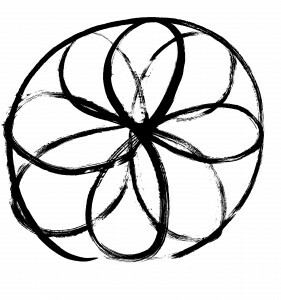 Dopo questo lungo percorso di formazione in tutta Europa con il Living Tao ha ricevuto uno speciale riconoscimento ed attestato di merito dal maestro Chungliang Al Huang per insegnare il Living Tao Tai Ji in Italia. Di seguito ecco un brano di Giuseppe Urselli tratto dal secondo capitolo del suo libro Tai Ji, Danzare la Vita e pubblicato nel 2006 sulla rivista internazionale Tui Shou della Living Tao Foundation. Though I didn’t understand the English language well, I decided to buy this book also. I was amazed, enchanted and fascinated by the simplicity in which the basic philosophic tai ji principles were explained. I liked so much the book for the clearness about the tai ji essence. As for me, it was very difficult to go to the U.S.A. and I thought that I had very little probability of participating in one of Chungliang’s seminars. And yet, Tao was with me when I learned that Chungliang came annually in Europe. 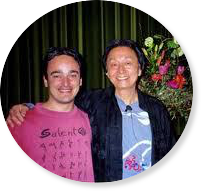 So in the summer of ’92 I went in London with my simple English for a seminar with this great tai ji master. In these days I met so many people from all over the world; so I had the opportunity to open myself to different cultural perspectives. Languages and cultures so different, blended thanks to tai ji in only one language: Love. I sat down disconsolate, feeling the weight of the world on my shoulders and asking to myself: “ Is it really possible that in a world in which so much despair reigns, is there again a space for joy, happiness and dance?”. Just in that moment suddenly Chungliang came near to me, putting his hands on my back and whispering “Giuseppi dance! This is italian music…Antonio Vivaldi!”. Personally I was really surprised that in a group of about one hundred people, the master was able to see my sad mood. So in the center of the room this time, I found myself really happy of dancing and leaving behind my sense of guilt! What emerges by my teaching is very similar and kindred to the tai ji dance that I’ve experienced in many seminars whit Chungliang in London, Vevey and Zurigo. As I see my tai ji students really happy whit free dance, I’ve decided to leave the rigid way of classic teaching so I now always give more space to the creativity and to new ways of teaching. 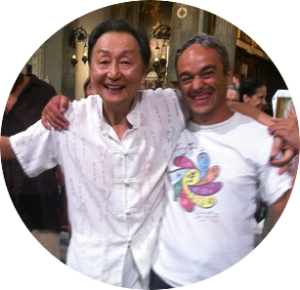 From London I have returned to Italy every time with tears of joy and feeling myself transformed and regenerated by tai ji dance with Chungliang and Living Tao’s friends. I have understood that we can learn tai ji in and for the quotidian life. It’s not useful to imitate the forms of our teacher. It’s important understand that we can develop and grow by ourselves without too many attachments. The real essence of tai ji emerges from the same wisdom of our intelligent body. When we remain alone with ourselves we can attain to that inexhaustible reserve of vital force contained in the low abdomen: the dantien, what Chungliang loves to call the power- house, the laughter’s place, the ah ah ah place…!